On September 18, 2014, President Barack Obama, on the recommendation of Kirsten Gillibrand, the junior U.S. 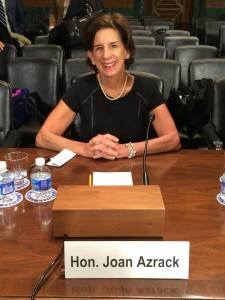 Senator from New York, nominated U.S. Magistrate Judge Joan Marie Azrack to serve as a U.S. District Court Judge for the Eastern District of New York. 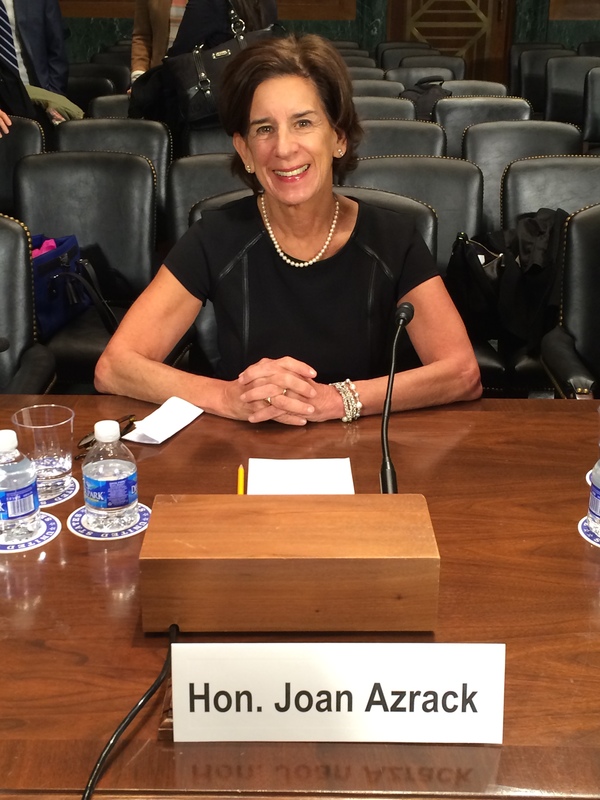 Judge Azrack’s nomination was subsequently confirmed by the Senate by voice vote on December 16, 2014; three days later, on December 19, Judge Azrack received her federal judicial commission. Judge Azrack fills the seat vacated by Judge Joanna Seybert, who assumed senior status on January 13, 2014. Born in 1951 in Neptune, New Jersey, Judge Azrack received her B.S. from Rutgers University in 1974 and her J.D. 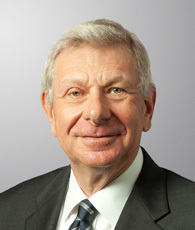 from New York Law School in 1979. She began her legal career at the Department of Justice in 1979, working as a trial attorney in the Criminal Division under its Honors Program until 1981. In 1982, she started working as an Assistant U.S. Attorney in the Criminal Division of the U.S. Attorney’s Office for the Eastern District of New York. During her tenure, she served as deputy chief of the Narcotics Section from 1985 to 1986, and concurrently as chief of the Business and Securities Fraud Section and deputy chief of the Criminal Division from 1987 to 1990. At the same time, in the late 1980s and during the 1990s, she worked as a visiting instructor for trial advocacy programs at Harvard Law School and Cardozo Law School, teaching basic trial advocacy skills to second and third year law students at annual sessions. In December 1990, following her time as an Assistant U.S. Attorney, Judge Azrack was appointed a U.S. Magistrate Judge for the Eastern District of New York. She was reappointed to a second term in 1998 and a third in 2006, and from 2000 to 2005 she served as Chief Magistrate Judge for the Eastern District. Judge Azrack continued to serve until the completion of her third term in 2014, when she was nominated to be a district court judge. Significant cases over which Judge Azrack presided as a Magistrate Judge include: Singer v. Abbott Labs. 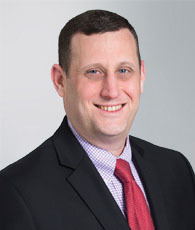 (mass tort litigation over birth defects linked to in utero exposure to DES drug); Klezmer v. Camp Cayuga, Inc. (jury trial over injury resulting from all terrain vehicle accident at a summer camp); Flash Elec., Inc. v. Universal Music & Video Distrib. Corp. (video rental market antitrust suit); and Johnson v. West (Department of Veteran Affairs employment discrimination cases). Judge Azrack has received numerous honors throughout her legal career, including the prestigious Eastern District Association Award in 2006. For her work as a former prosecutor, Judge Azrack was honored by the Drug Enforcement Administration, Federal Bureau of Investigation, Bureau of Alcohol, Tobacco and Firearms, and the U.S. Customs Service. Her work in credit card fraud prosecutions earned particular recognition, including an award from Merrill Lynch for her prosecution of credit card fraud conspiracy in United States v. Jacobowitz in 1988. Following Judge Azrack’s confirmation by the Senate, Senator Gillibrand stated that she “is well-suited to serve…. Ms. Azrack is a woman with impeccable credentials, incredible intellect, and exactly the kind of fair-minded judgment we need on the federal bench. I am confident she will serve the Eastern District of New York well, as a federal judge.” Senator Gillibrand concluded that Judge Azrack’s appointment will add “yet another superb female jurist to the federal bench.” President Obama expressed similar confidence when he nominated Judge Azrack in September 2014, stating that she would be a “distinguished public servant and valuable addition to the United States District Court.” Likewise, the American Bar Association Standing Committee on the Federal Judiciary unanimously rated Judge Azrack as well-qualified to serve in the Eastern District of New York.